In recent years, the demand for fast Internet data transmission has become higher than ever. Whether it is uploading or watching videos online, or sending large files to co-workers located overseas, consumers require high-speed internet connection. Due to user experience upgrade, the prevalence of high-definition technology application and data decentralization, companies with large internet traffic face new challenges beyond basic content distribution, which include security, service availability and network efficiency concerns. In the battle of competing for consumers, internet companies no longer focus solely on acquiring traffic and providing content but also offering consumers high-quality experiences. Every problem that may occur at the origin can severely impact traffic retention. Some common issues include server performance bottleneck, low data reliability (packet loss and data manipulation), high operation cost and complex network environment. 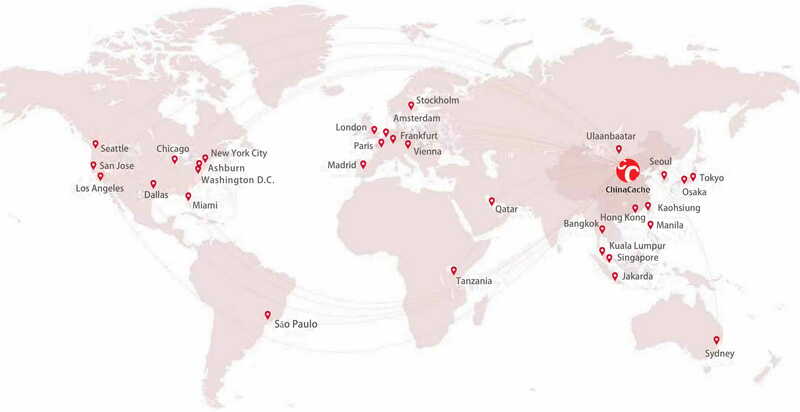 ChinaCache combines its global CDN network with Aspera FASP® transport and objects storage technology to create a high-performance content storage distribution network platform that provides high-speed upload, scalable storage, high-performance media processing, and one-click CDN distribution services. High-speed file upload: The solution supports uploading files with FASP protocol in web browsers (no client installation required) and multi-point concurrent upload. High-performance CDN Storage: The solution offers flexible capacity expansion and flexible billing options. Compatible with Amazon S3 API, it also supports one-click content purge and content preloading to ChinaCache servers. Multimedia processing: ChinaCache solution supports transmuxing, offline transcoding, adding watermarks and compressing files. Global CDN Services: The solution supports all major video protocols and offers accurate global HTTP redirect, efficient file segmentation and distribution, bandwidth monitoring service and lightweight HTTPS enforcement. Security Protocols: ChinaCache content distribution supports IP speed limit and blocking, HTTPS/HTTP2.0 protocols, multi-step authentication procedures, data validation and hotlinking protection. When it comes to content storage, ChinaCache adopts Amazon S3 V2/V4 authentication check request and supports configurations for loosely coupled security defense nodes. Data Backup and Redundancy: ChinaCache content storage can serve as backups for origins, which will grab and save data from origins (like a CDN server does) if there is no copy of the requested content in the cloud storage. Multiple copies of the content will be cached on ChinaCache servers in different locations to ensure redundancy. This solution is perfect for video and game companies distributing large files in Mainland China, as well as multinational companies looking to improve work efficiency between different branches. To learn more about our offerings, drop us a line here and we are happy to help. Copyright © 2018 | ChinaCache North America Inc. | ChinaCache Networks (UK) Limited | ChinaCache Networks (Hong Kong) Ltd.